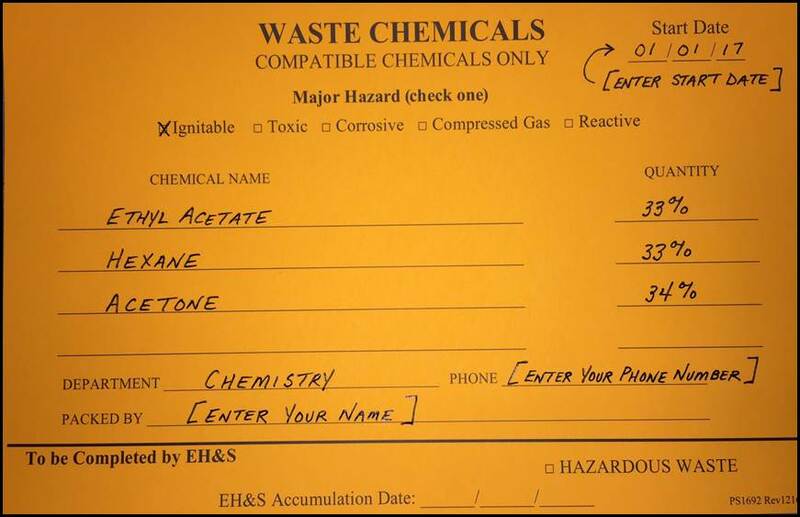 Use full common chemical — write Water, NOT H2O. 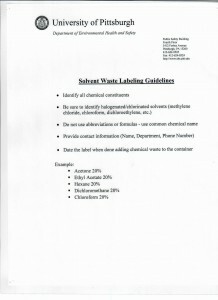 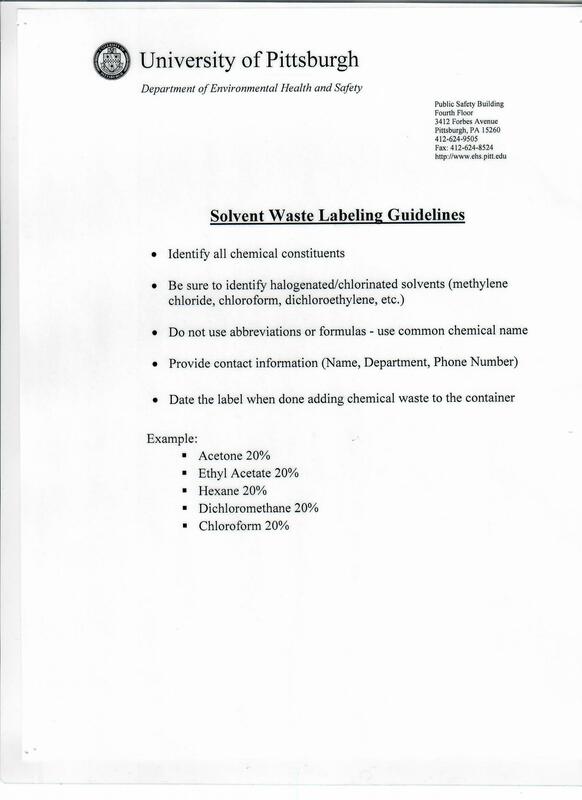 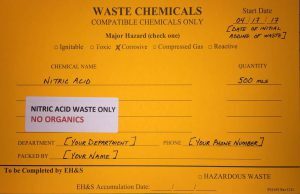 Combine compatible chemicals inside a waste container, be sure the chemicals are compatible with the container — Acids and Bases are both corrosive to metal cans. 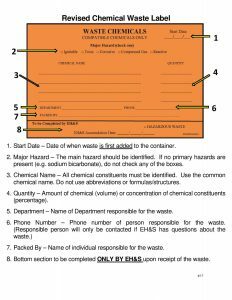 Keep the lid of your waste container closed. 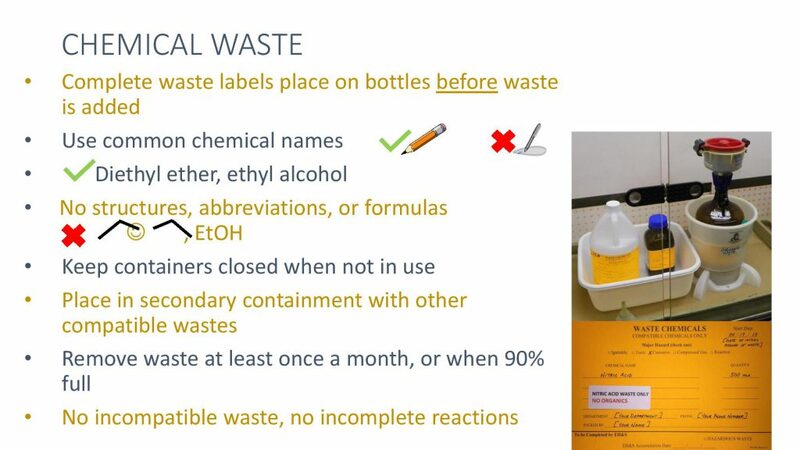 Put your waste container in a bin, bucket, or ECO-FUNNEL SYSTEM for secondary containment while in use. Keep your waste away from the sink. 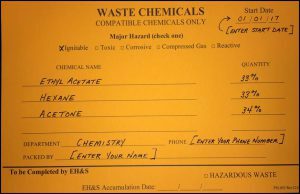 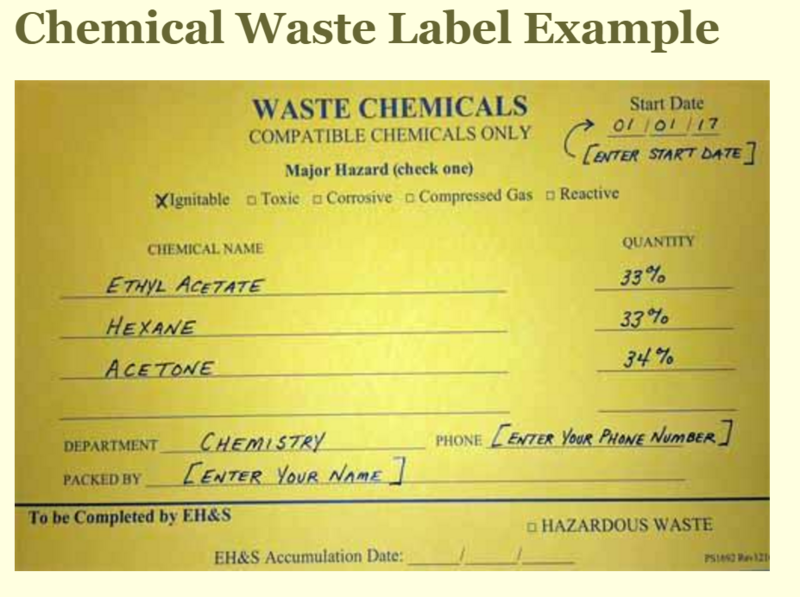 Use a Pencil to fill in an orange chemical waste label — Solvents dripped on to a waste label may cause ink to run and smear. Nitric acid is CORROSIVE and an OXIDIZING AGENT (chemical reagent). 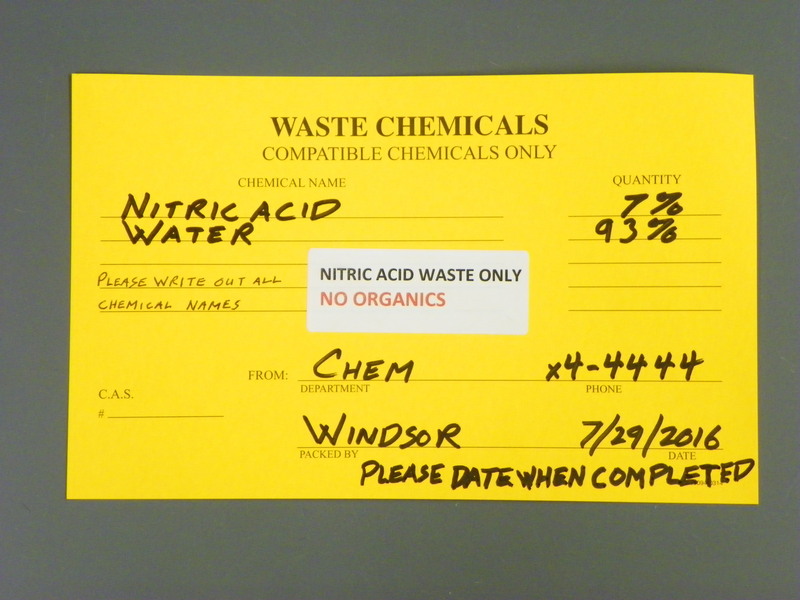 Care should be taken to keep organics, flammables, and other incompatible substances out of Nitric acid waste containers, Nitric acid-containing material, and away from the Nitric acid waste collection areas. 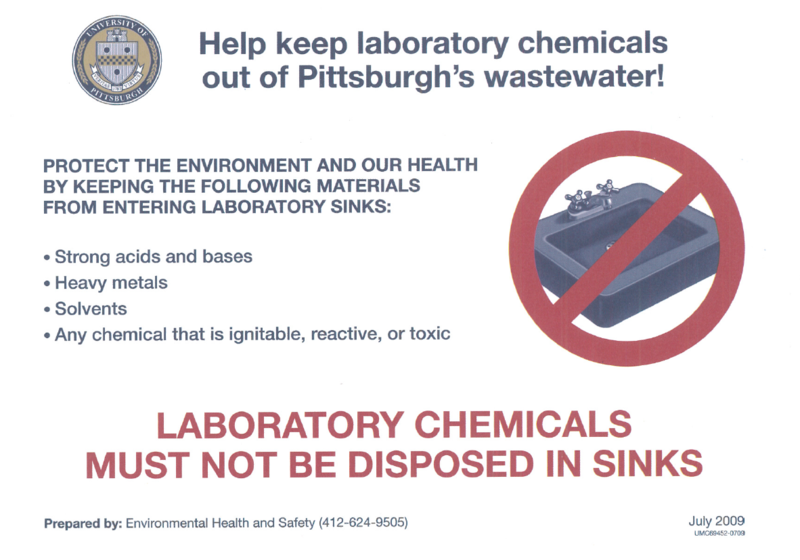 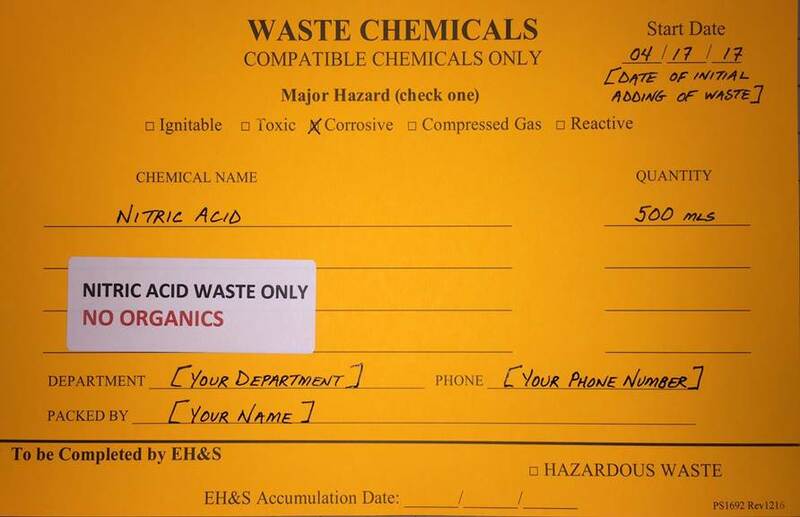 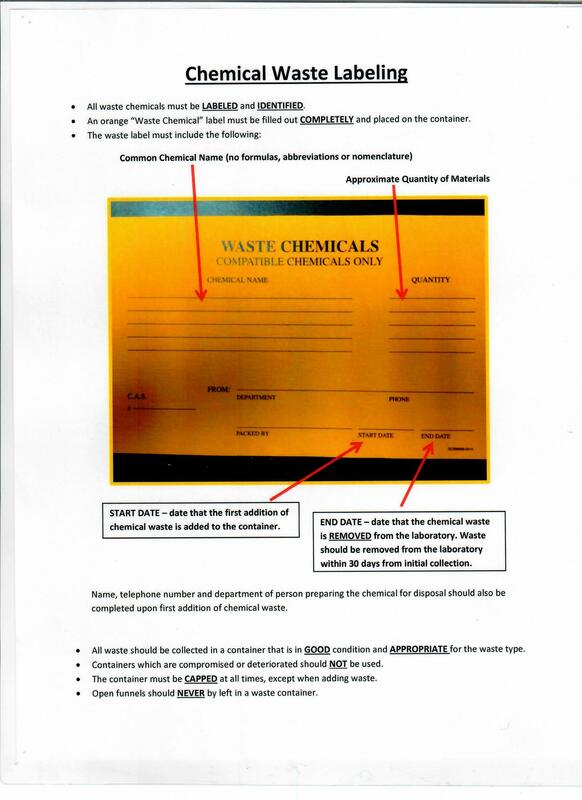 Pitt Environmental Health and Safety (EH&S) has information on Nitric acid available online.